How does your business generate leads? Do you attend trade shows, send out direct mail pieces, or rely on billboards/ radio ad spots for your advertising? All of these strategies are considered outbound marketing techniques. As effective as these practices once were, the advent of online marketing has spurred the onset of a buzzword we marketers refer to as inbound marketing. Inbound marketing revolves around creating content that attracts customers to your brand. Publishing the right content at the right time is key in lead nurturing and ensuring that your business is viewed as relevant and helpful to both potential and current clients and customers. Picked up your mail and thrown away all of the ads and direct mail pieces? Changed the radio station when a commercial comes on? Recorded a TV show to avoid commercials? Screened a telemarketers phone call? If you are like me, you have done any one of the above activities countless times. Consumer behavior constantly changes and currently more people flock to the Internet to research brands and their services. Because of this shift, businesses must evolve their marketing strategies to stay on top of the modern transition in marketing techniques. Content creation: Creating targeted content that speaks to your customers, answers their questions, illustrates you understand their challenges, and shows how your business can solve them. Personalization: Monitoring your contact’s behaviors allows you to better tailor your content and messages so that it speaks to them. Multi-channel: You customers are not all in one place on the Internet. You must make use of a multi-channel strategy to reach them all. For example, different social networks, blogs, podcasts, etc. Integration: Integrate your CRM, marketing automation, and analytics to become an efficient, well-oiled machine. Lifecycle: Just as you go through different stages when in the market to buy, so do your customers. Each stage requires different nurturing, and therefore content should be customized accordingly. Your website: The pages of your website should be optimized and speak to your potential buyers. Not only does the design of your website need to be on point, the content needs to inform and entice your audience to stay on the page. Blog: Creating educational content and publishing it on your blog is one of the best ways to attract potential buyers and keep your current customers well informed. A blog is also a great way for people to find you around the Internet. Blogs are great for SEO and often contain keyword rich posts that let you stand out. Social Media: This is a way to connect with your audience on a more peer-to-peer/ personal level. Social media is a chance for you to show your brand’s personality. Always share relevant and valuable information, so that you’re seen as an expert in your field. “More than just friends”: This is where you convert visitors to your blog, social media sites, websites, etc into leads. By offering tips, access to eBooks, case studies, white papers, and free trials you can collect your most important asset, contact data. Contact data, such as email address, title, company, age, location, etc. is a gold mine for marketers. This data enables a marketer target them with information and content that will seamlessly guide them down the sales funnel. CRM: First and foremost, you need someplace to house the data that you collect. An excel spreadsheet won’t do this, but a CRM will. This is a database where all of your contacts’ data is stored and organized. Call-to-Action and Landing Pages: Your content, whether it’s via a tweet or a blog post, should contain a call to action that leads a contact to a landing page. Calls to action can include options like, downloading an eBook, or registering for a webinar. Once a person has clicked on this button or link, they are taken to a landing page where they input their information to gain access into whatever you provided for them. Forms: You can’t collect information without a form to collect it. Each landing page that you create should contain a form that gathers the valuable information you need. 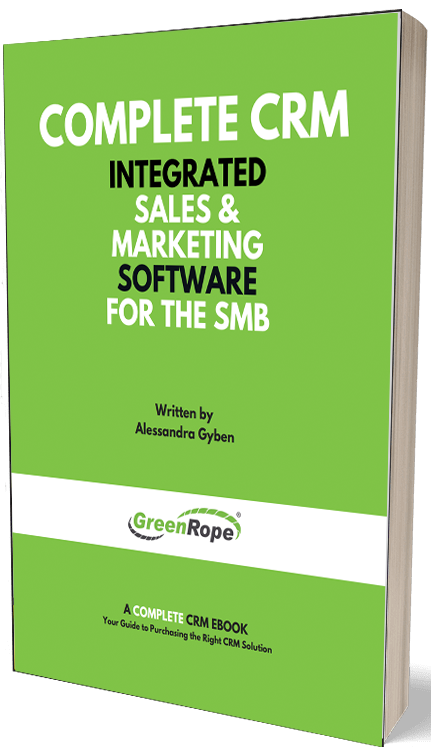 Once they enter the information, they receive the eBook or whatever you offered them in the first place, and if setup correctly, they’ll automatically enter your CRM. Remember to keep your forms as simple as possible. Email Marketing & Marketing Automation: Let’s say that one of the leads you captured is interested, but not quite ready to buy. This is where it may be helpful to send a series of useful content to that lead via email so let them know you care about their journey in this process. Marketing automation allows you to tailor the emails sent out to leads based on their activities, like attending a webinar, or engaging with you on Twitter. Being able to track your contacts’ behaviors enables you to approach them with the relevant information at the right time. Marketing automation makes this process easy and efficient. Score your Leads: Lead scoring involves assigning certain points to different activities as well as demographics. Refer to our blog on lead scoring for more information on how to implement a successful lead-scoring program. “Keep the love alive”: It isn’t enough to simply hook the fish; furthermore you need to keep it alive. The key is not just providing valuable content to potential leads and clients, but to existing customers as well. Inbound marketing requires marketers to constantly engage and provide our audience with targeted, personalized, and thoughtful content to gain trust while providing superior customer service and education. This will also help if you are looking to upsell your clients and customers after they have already converted. Social media: Social media is a chance for you to connect with your customers in real-time. Keep the conversation going. Webinars, eBooks, and Whitepapers: Just because you hooked your client with your brilliant content, doesn’t mean they stopped learning or wanting to learn. Educate your customers/clients with instructional webinars, eBooks, Community forums, etc. Email Marketing and Marketing Automation (revisited): Email marketing is a great way to keep your current customers informed about new products, features, industry trends, and other content that they may find valuable. Inbound marketing is a dynamic way of marketing to your customers. It takes thought, strategy, persistence, trial and error, etc. The fact of the matter is that people have far more power as consumers than ever before. If they trust you, they will most likely continue a relationship with your business. These days, it is all about the depth of relationships and the service you provide. Keep the content coming, and invest in technology that can take you to the next level.